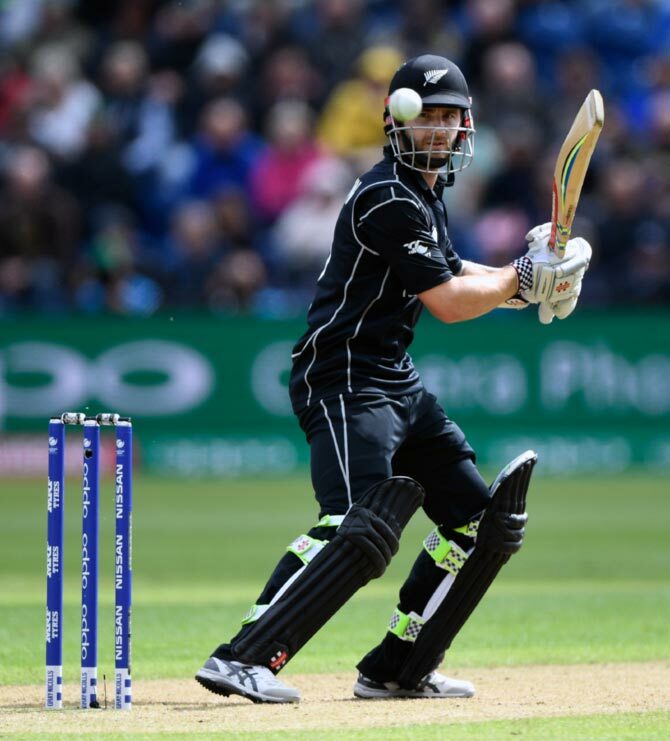 New Zealand and Bangladesh enter their final group match of the ICC Champions Trophy, in Cardiff, on Friday, with the knowledge that even a win may not be enough to see either of them into the semi-finals. New Zealand are, quite surprisingly, at the bottom of Group A with Bangladesh in the third position. Both teams have a point apiece in the biennial ODI tournament after they were each comprehensively defeated by England, while their respective matches with Australia ended in rain-induced no results. Hosts England have signalled their title intentions by cruising into the last-four stage following two convincing outings. If Australia beat England in their last group match at Edgbatson, both the two teams will be in the semifinals as they enjoy better net run-rate. The desperation for a win aside, both New Zealand and Bangladesh would hope for an England victory against Australia, assuming rain does not disturb their calculations again. While the Kiwis were a tad unfortunate against Australia given that they were in a stronger position when the match was called off, Bangladesh were lucky to run away with a point against the Aussies. New Zealand should have the edge over Bangladesh when it comes to local knowledge given their 87-run defeat by England in Cardiff on Tuesday. New Zealand have the pedigree, but it would be foolish to rule out Bangladesh, given their improved showing in this format in recent years. Inspirational skipper Kane Williamson will again be the man to watch out for in the New Zealand ranks. Williamson made a brilliant hundred against Australia before following up with a classy 97 against England – a match where he was fined but not banned for a dreadfully slow over-rate. Bangladesh's Tamim Iqbal also started the tournament with a century, against England, before making 95 against Australia. Both the teams would hope that the other players rise to the occasion like them make a last-ditch attempt to progress to the knockout stage. Their most recent meeting saw Bangladesh beat New Zealand by five wickets in a warm-up match in Dublin. New Zealand, however, were without several key players in Martin Guptill, Williamson, Tim Southee, Trent Boult and Adam Milne. Tomorrow will be a different ball game altogether. Jeetan Patel, Luke Ronchi, Mitchell Santner, Tim Southee, Ross Taylor. Bangladesh: Mashrafe Mortaza (captain), Shakib Al Hasan, Mushfiqur Rahim, Tamim Iqbal Mohammad Mahmudullah, Sabbir Rahman, Rubel Hossain, Soumya Sarkar, Taskin Ahmed, Mustafizur Rahman, Imrul Kayes, Mehedi Hasan, Mosaddek Hossain, Sunzamul Islam and Shafiul Islam. Match starts at 3pm IST.